Note: M40 size is only available in rear-pull style. Side-release buckle is only available in dual-pull style. 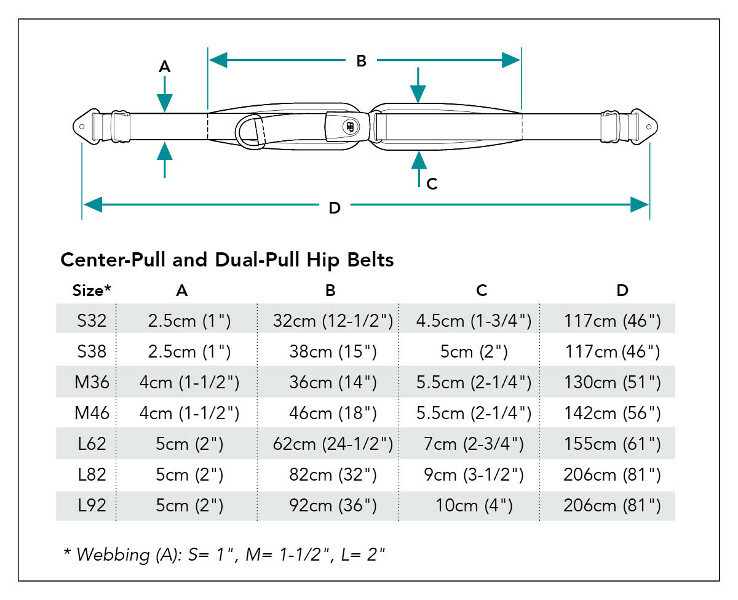 Bodypoint's unique design features distinguish this simple-to-use belt with 2 points of attachment. With all-day user comfort in mind, there is a seamless transition from the creep-resistant webbing to the contoured pads, with a rounded edge binding where they contact the user. Sewing techniques and materials are integrated for maximum grime resistance, but the belt, like all our soft goods, is machine washable and dryable as well.